Earlier this month, Statistics Canada confirmed what many people had known for months: Canada is in a recession. As the economy has been shrinking, unemployment has been increasing. Meanwhile, people who are fortunate enough to be employed are increasingly working precarious, part-time positions for low pay. Canada is not alone. The global crises of capitalism over the past decade are symptomatic of our current age of inequality and instability. Understanding these ailments and imagining possible remedies requires a solid historical analysis of class relations and capitalism. The most recent meeting of the Canadian Historical Association, however, indicates that these issues are not central to our current historical conversations. Of the approximately 102 panels on the program, the titles of only five mention work, workers, class, labour, or capitalism. This number does not necessarily reflect the important and innovative work being done on these subjects by historians; however, it raises the questions: Why are fewer historians labeling their work as labour and working-class history? Why is it important to study the history of class relations and capitalism? What can we do to foster renewed interest in these topics? The great historiographic debates of the late 1980s and 1990s surrounding gender, subjectivity, experience, and language led many scholars, for a time, to move beyond class in Canadian historical writing. The events of the Great Recession, both in economic and political terms, have now returned workers, class, and capitalism to the centre of contemporary debates. Much remains to be understood about, for example, the historical development of late capitalism, the third digital/industrial revolution, the shifting nature of its class society, and the future of work. Historians of Canada thus have an opportunity to return to questions of work, capitalism, and class struggle. In doing so, we can grasp how Canada got to its current capitalist moment, reconsider with fresh eyes and new insights, how capitalism has shaped Canada, and reconsider historical challenges and alternatives to capitalism put forward by workers, radicals, Indigenous peoples, environmentalists, and other dissenters. If we decline this opportunity, we risk creating a blind spot in our study of Canada, its people, and the world. Most people work, whether paid (stocking shelves, teaching students, answering phones) or unpaid (raising children, cooking meals, caring for elders). Therefore, a history that omits working-class cultures, contributions, and struggles ignores the experiences of the majority of the world’s population. Moreover, the work that we do defines how we live and fit into society. How much money we earn is important, of course, but the type of work we do also shapes the amount of power we have over our daily lives and within society. The CEO of a bank has more control over his working conditions, his personal life, and the government than a bank teller he employs. Meanwhile, the choices of the teller are limited by the fact that she must work in order to make ends meet. Labour and working-class history shows us how and why these class relations developed over time and how they intersect with other issues and dynamics, for example colonialism, racial hierarchy, gender dynamics, and the relationship between people and the environment. 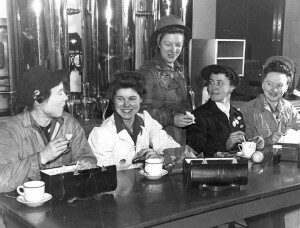 Furthermore, given the fundamental role of work, workers, and class relations to society, our understanding of many pressing social issues – why they have emerged, how people have attempted to address them, and what we can do to fix them – requires an understanding of the history of working people and the structures and issues that influence their lives. Capitalism has fundamentally shaped Canada, and we need a history that is alive and attuned to these dynamics. With this in mind, we strongly encourage historians to pause and reconsider the relationships between capitalism, work, and the histories you research and write. There are many ways that historians can engage with work, class, and capitalism and how they interact with other aspects of the Canadian past. The upcoming Congress of the Humanities and Social Sciences, taking place in Calgary from 28 May to 3 June 2016 offers a great opportunity to take up these issues. Both the Canadian Historical Association (CHA) and the Canadian Association for Work and Labour Studies (CAWLS) will be hosting their annual meetings. The former event is the foremost gathering of Canadian historians and the Canadian Committee for Labour History (CCLH) has committed to hosting and sponsoring panels and papers at Congress on labour history broadly defined. The CCLH will also be holding its annual Labour History Workshop; stay tuned for more details. The CAWLS meeting tackles issues related to work and workers from an interdisciplinary perspective. In recent years, historians have made their presence felt, but there remains ample space for increased participation by historians and more collaboration across the social sciences and humanities. To stimulate renewed interest in labour and working-class history and to encourage greater interdisciplinary analysis of the history of workers, class relations, and capitalism, we urge people to submit proposals for panels, roundtables, workshops, and individual papers to both associations. The CHA call for papers is already out, and CAWLS will be releasing theirs soon. We hope next year’s CHA and CAWLS conferences will contribute to the writing of Canadian history that accounts for work, class, and capitalism as fundamental constituents. A revitalized study of the history of workers, class relations, and capitalism can provide valuable insights for contemporary efforts to address Canada’s increasing economic inequality. Indeed, all over the world people are questioning the basic tenets of neoliberalism and capitalism. The mantra of the last three decades, that “there is no alternative” to austerity, globalization, and capitalism, is being superseded by the return of big critiques that dare to imagine that another world is possible. Historians can play a crucial role in bringing historical perspectives to bear on these contemporary issues, and next year’s Congress offers an important opportunity to do just that. This is a great piece! The question of the current state of labour history is one that I’ve been thinking of a bit lately. In my own department (York), I believe that I am one of two or three grad students who would call themselves labour historians, but there are many more grad students than that who do labour history. The issue in these cases seems to be that they study labour history in conjunction with another subject (race, sexuality, gender. etc.) and identify themselves as historians from those fields rather than historians of work and labour. For example, someone studying Asian-Canadian nurses might identify as an historian of Asian-Canadian history rather than as a labour historian. When I’ve asked some of my colleagues in this situation whether they would consider themselves historians of labour and work, the answer has often been that they’ve never thought of their work as labour history. They’ve often come to their topic through an interest in Asian-Canadian history, for example, rather than through an interest in work and labour. As a result they tend to focus their networking, conference attendance, publications, etc. in venues that speak to their primary area of interest rather than exploring how their work fits into the fields of labour and working-class history. So maybe one solution might be for groups within the CHA to organize joint panels at which members from different committees are invited to submit papers. This way, someone presenting a paper about the working lives of Asian-Canadian nurses (to stick with that example) could have the opportunity to present their work to a wider audience interested in labour and working-class history more broadly, rather than to an audience interested in nursing history more specifically. Anyways, this is just a thought. (And for the record, I admit that my involvement in committees like the CCLH has been pretty much non-existent, so please accept my apologies if all of this has been or is being done, and I’ve just been too busy burying my head in the sand to notice). Thanks for the fantastic comment, Mathieu! Your observations were to a large degree the same observations we had: as much as we want to see more labour history done, equally important is speaking of the existing work *not* being identified as labour and working class history. This issue is, as you say, intensified by the fact that academic networking patterns mean these scholars don’t speak with labour historians, and we don’t speak with them. I like that idea of each of the CHA sub-committees working with one another to co-sponsor panels. This has been done before, but could work really well if done more systematically. Linking the CCLH to other committees in a purposeful manner could ‘link the silos’ if you will.